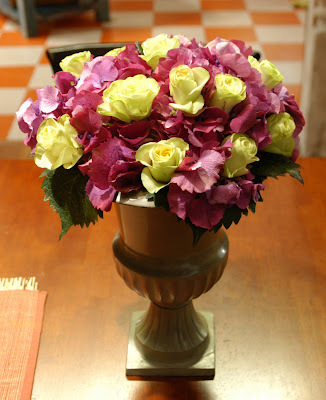 Elegant urns make the perfect bases for beautiful bouquets of lime green roses and plum hydrangeas. 1. 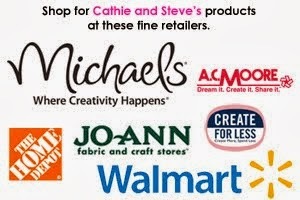 Wash the urn and dry it. Drop floral foam into the urn and fill with water. Pour in ¼ can of lemon-lime soda. 2. To cauterize the hydrangeas: use pruning shears to cut the stem at the appropriate length at a 45-degree angle. 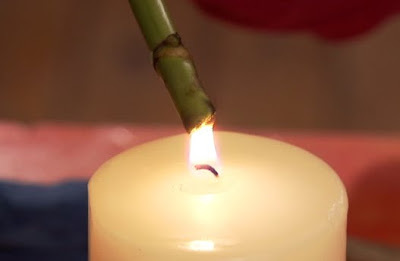 Use a candle flame or a lighter to burn the end of the stem. Alternatively, place the end of the stem in boiling water for 10 seconds. This prevents any sap from seeping into the water and causing bacteria growth. 3. Remove any leaves that would fall below the top of the urn. Insert the stems into the floral foam in the urn, arranging so that they fill the space. 4. Cut six roses to the appropriate length so that they will sit just above the top of the urn. Cut them underwater at a 45-degree angle to prevent air pockets from forming in the cells of the stems. Leave the thorns on the roses and remove the leaves and outer petals of each rose. Be careful to not touch the other petals, as oils from your fingers can brown the roses. 5. Insert six roses along the base of the urn, working your way around and spacing them evenly. 6. Cut 5 more roses, approximately 2” longer than the first set of roses. Remove leaves and outer petals, as before. Insert these roses to form a dome shaped arrangement.